The size of the city center plot is 24-acre /100 000 square meters and it is currently the biggest regeneration project in the UK. 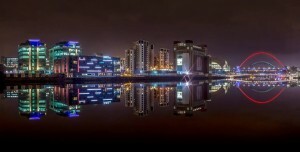 Science Central is aiming to be a creative hub for businesses, university research centers, students and inhabitants of Newcastle city to meet and jointly develop sustainable solutions for urban life of the future. Having visited the North East of England in the United Kingdom many times before, this journey brings not only fun but also fun and interesting business! To get to my early morning meeting at the largest sustainable urban regeneration project in the UK I enter the city center and pass the empty, 50 000 spectator, Magpie football stadium, St James Park, imagining the bustling life around a game between Newcastle and neighbour city Sunderland! 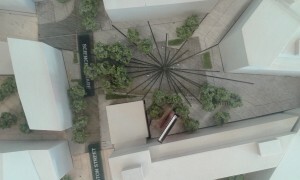 Just a block away I reach the 24-acre /100 000 square meter development site of Science Central. blocks of workers quarters and a modern glass-high-rise area of office buildings. 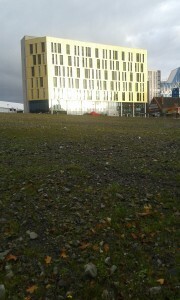 The first building, The Core, is already on site. This morning it is brightly lit up by the rays of the sun and pulls me in. 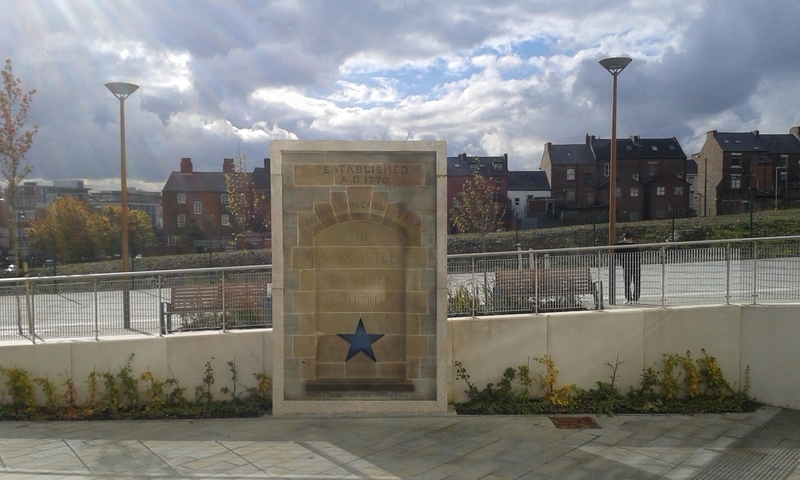 The phrase ”a golden stepping stone to the future” pops up to mind. 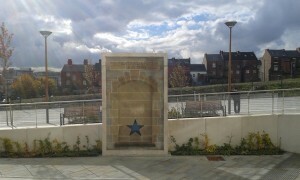 I meet Ann Bridges, Senior Specialist Communication and Policy, and Kit England, Policy and Communication Business Partner, of Newcastle City Council and we sit down in the lobby looking out over the stony field and the old sandstone houses of neighbouring Elswick. The Tyne and Wear City Region holds 1.1 million inhabitants, and the capital of Newcastle itself contains about 280 000 persons. The city history dates way beyond 2000 years and its economy was built on, among other things, natural coal resources, engineering, the shipping industry and innovations in all. 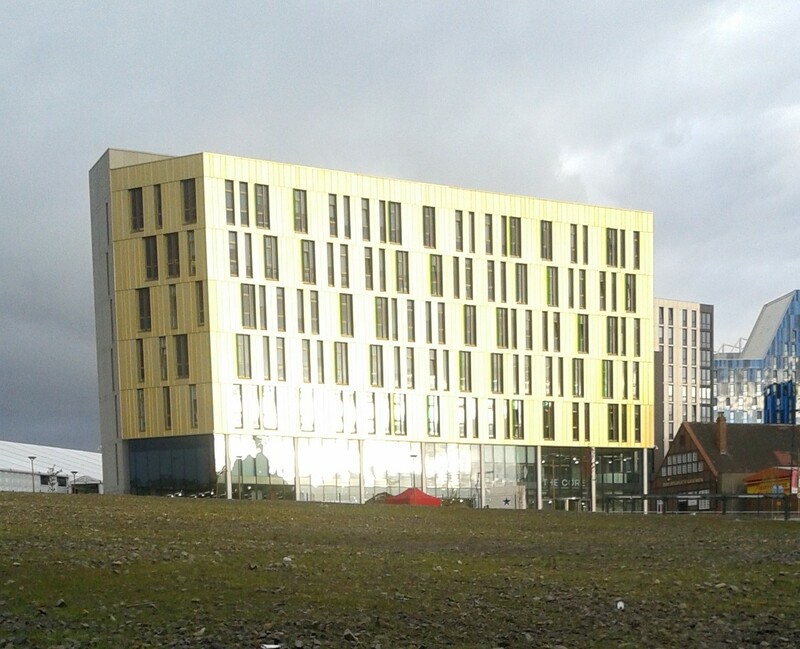 Ann Bridges tells the Science Central site history – once starting off as the Elswick Colliery (coal mine) and later becoming the home of one of UK’s most famous breweries, the Scottish and Newcastle Brewery, who produced Newcastle Brown Ale! I look, once again, at the stony field – now with a very impressed gaze and remind myself that first impressions never last: The history of these grounds! I can just imagine the olden days’ smell of the Newcastle coal fires mixed with a sweet, yeasty one from the brewery. The colliery built long mining shafts underground, sometimes all the way down to the river. When the Newcastle City Council took over the site in 2005 old mine workings had to be cleaned out and over 40 000 tonnes of coal was removed and recycled. The mining shafts were filled to stabilise the site and make it suitable for development. In the days of the colliery and brewery, the gigantic site was fenced in and closed off to the public. It divided parts of the city from each other, cutting off the densely populated and once very deprived Elswick from the city center. 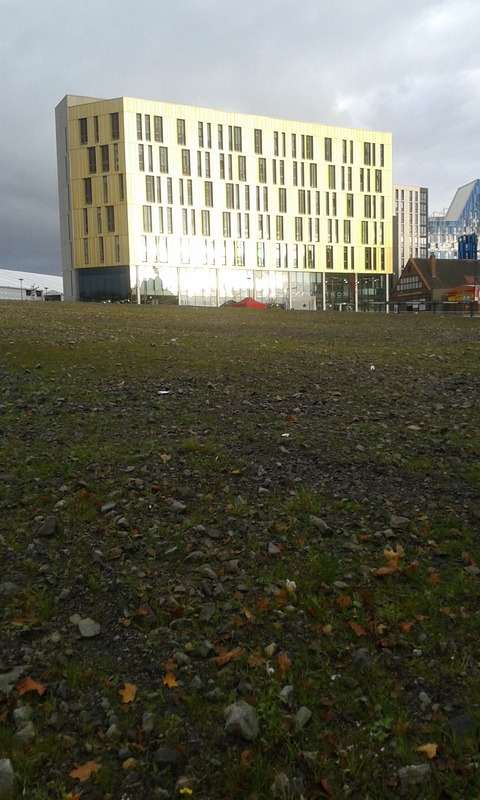 The brewery moved out in 2005 and this huge piece of center-city land presented an opportunity – just a stone’s throw from the train station and the large Eldon Square shopping centre – Newcastle City Council must have wondered what to do with it? Maybe supply more housing, or let the city office area swell? 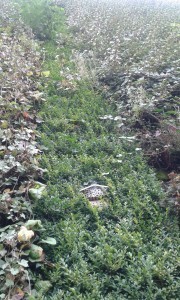 What path did Newcastle City Council choose? What will Science Central be? The site will constitute an innovative hub and builds on previous collaborations to create a “living laboratory”, meaning that in-real-life, real-time research can be performed here and that research findings can be demonstrated to the public. The brochure is everything a great marketer can produce and uses words like “fantastic” or “nurturing ideal climates for business success” and even “places for children to play and explore” etc. It hits me right in the chest – be it that I am a sucker for inspiring visions of our future! 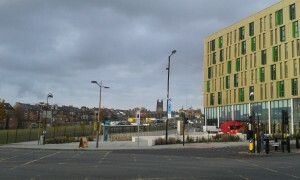 Science Central is a development taken forward by collaboration between Newcastle City Council and Newcastle University. The two organisations have a very positive and mature relationship in taking forward developments in the region and this isn’t a new occurrence in their relationship. Newcastle University often works closely with the Council to support in the regional development and urban planning of greater Newcastle. What’s different this time is that both organisations are directly delivering the site. –The University of Newcastle is world-renowned for its research excellence and wants to continue on this path by attracting more companies and research partners to expand their reputation and attract even more students, says Kit England. -The partnership between the Council and the University works really well as they have complementary objectives and want the same thing, Ann continues. The interests of the City Council are in achieving sustainable economic growth, creating new and better jobs and retaining students in the Newcastle area. -What will the working class do, what will workers from the brewery and collieries be working with in the future? Ann is understanding and keen to address my concerns, and says that Newcastle has continued to diversify as the local industry always has had, and continuously has been nurturing, a strong culture of innovation. The region needs a balance between many different sectors Ann firmly conveys. Newcastle’s economy is already moving into “smart specialisation”, looking to develop the economy based on an analysis of the regional strengths and weaknesses, emerging opportunities and market developments. This work has shown the region’s existing and potential competitive advantages and business areas in which the region can excel, compared to other regions. Professional business services, such as legal and accounting. Professional services, such as leisure activities, hotels, restaurants and shops. The North East region of England already also holds a large manufacturing industry. Ann mentions the large Nissan assembly plant in Sunderland, which builds Nissan’s flagship electric vehicle, the Leaf. -There will be a place for everyone, she summaries. I understand that the Newcastle City Council is on a mission to take constructive and smart steps towards the future by adapting to the changing prerequisites of business and society. How can we expect Science Central to enhance the region? -Read Tellus Think Tank’s next article about one of exciting organisations at Science Central. Sign-up for our newsletter to receive a notification! . 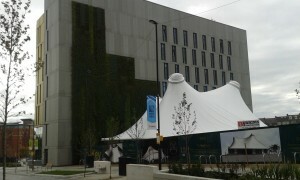 The next, but temporary building on the site, is a University building. It will be ready to move-in December 2015 and replaced in 2018 by the University’s Urban Science Building (USB). The Urban Science Building will house both the Institute of Sustainability and the School of Computing Science with its unique cyber-physical laboratory – jointly the two organisations will aim to becoming leading in Urban Innovation. from the city can be visualised, analysed and explored to improve understanding of the interaction between Newcastle city’s energy, water, transport, waste and digital control systems. Setting roof-top gardens on all buildings in the city. Pedestrianising parts of the city or the whole city centre. Ideas like these are explored with the help of data-models and show possible outcomes from an implementation on a community’s economy, sustainability and social life of the residents. Also to be found in the USB will be an urban farm, a rooftop wild-flower meadow and an array of research disciplines all with the common focus of digitally enabled urban sustainability. The setup of the Urban Science Building aims to create prerequisites needed for a living laboratory – one can see it will take a very strong and inspiring leadership to get the lab started and running according to plan. 1,500 people will be working and studying here. The idea, it seems, is for all to work together to create sustainable solutions for the future, using every possible asset available from the city infrastructure and environment to even the building itself! 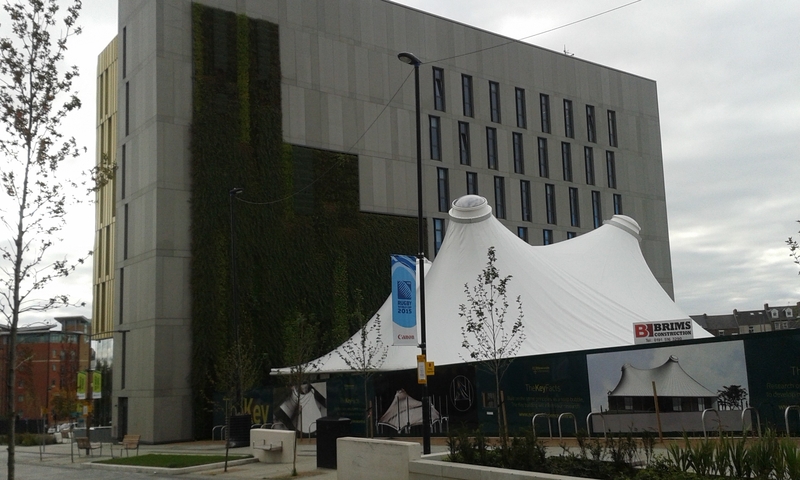 Just the Urban Sustainability Building is budgeted to £58 million and will be financed by the University. Ann and Kit also tell me how the site was the first in the UK to use “Tax Increment Financing”, an approach that has been used in America and which has helped finance the first parts of the Science Central site. The approach lets the Science Central LLP, borrow money from the Central Government Treasury at a lower interest rate and hold future growth in business rate income as a guarantee. This is based on the idea that Science Central will bring growth to business in the region and hence more taxes / business rates. Ann and Kit are both convinced that if this arrangement had not been made the site would not be planned in the dynamic and sustainability center form that is being built today. At one point it was put into jeopardy following the closure of One North East, the former governmental Regional Development Agencies that was taking forward the site as a tripartite partner of the Science Central LLP. 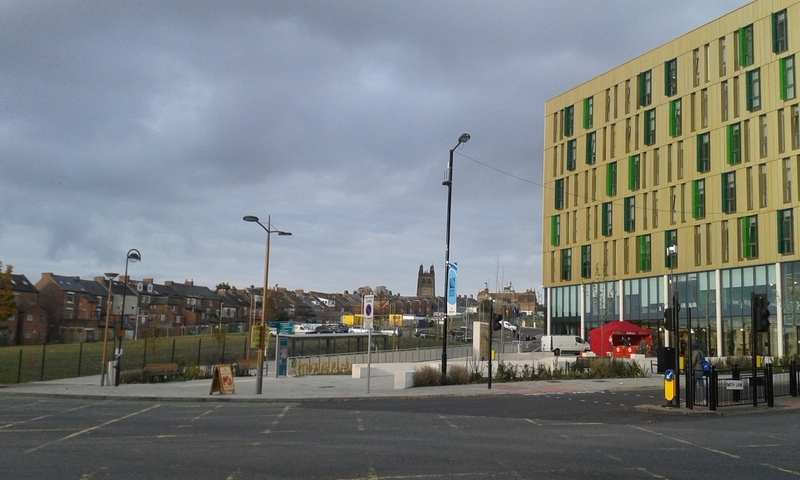 When national government abolished the Regional Development Agency and its funding in 2010, it was only strength of the partnership between the Newcastle City Council and Newcastle University that allowed the development to proceed, through buying out the government’s stake. The rest of the development on the Science Central is still in the planning phase and dependent on successful funding from different organisations, especially EU is mentioned. Looking at published plans the site will hold at least another 15 buildings for even more companies and housing developments. Ann also mentions that establishments from IBM or Microsoft or both would be welcome. 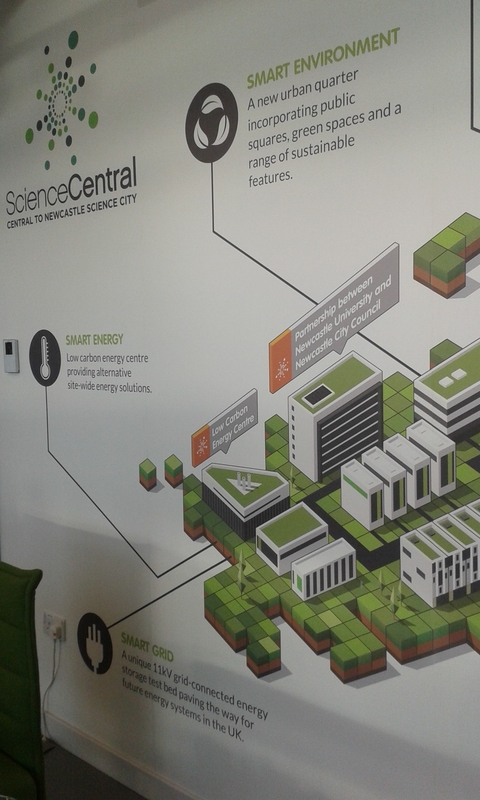 Science Central is not just talking but also already walking in a sustainable way – exploring possibilities of renewable energy by first trying a geothermal borehole, transporting natural ground heat into buildings with help of air pumps. Heat is not created, only transported and very “renewable”. However a borehole was not technically possible on the site and so there are plans to deliver an energy centre to power District Heating, as well as a smart grid demonstration facility to test electricity storage and management. District heating is a system for distributing heat generated in a centralised location and according to some research, district heating with combined heat and power is the cheapest method of cutting carbon emissions. The Core building starts off in a good way with a rooftop garden and even a side of the building covered with the largest green wall of the UK. During my visit to Science Central earlier in the week Brett Cherry from the University of Newcastle and I gazed up the green wall and happily explored different kinds of plants that could be found there including baby strawberries and even the bumble-bee hotels! Also to be spotted was the self planted winding twig of a hazel tree – it is lovely to see natural life in action! At the rate of carbon emissions growth of the world, the Science Central inhabitants will have their work cut out for them when planning low carbon urban developments and also when mitigating problems from a planet out of balance, caused by disasters such as floods or storms. Read more: Is Earth doing alright? Science Central might just be one of those shining stepping-stones that are dearly needed to help form the sustainable future of urban cities. Having built an organisation or two I can tell it will be challenging to build Science Central in a political sense (the university versus council and region versus government and EU etc.). To lead the site development in the right direction, not sliding from the original intent will need very strong women and men in the roles as Generals. If the challenge can be mastered, the rewards will be fantastic! TellusThinkTank is excited by the idea of a creative hub in the midst of Newcastle, fully focusing on improving the sustainability of urban lives and societies. 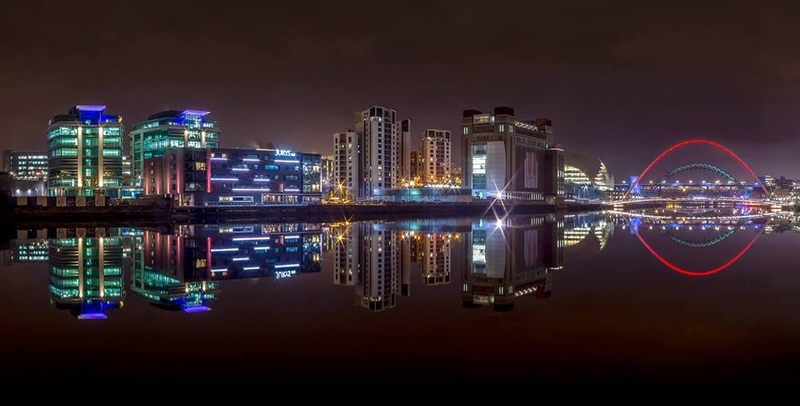 We especially believe that the collaboration between the University, the Newcastle City Council and Businesses in finding sustainable solutions for the future will show very interesting solutions indeed! Next week: Tellus Think Tank meets Urban Foresight regarding transports of the future! Sign up for our weekly newsletter to get a notification on when the next Tellus Think Tank is available!